Make something that you’d want to listen to. We recently launched the second season of The Optimist Podcast — available in iTunes, Stitcher, and Soundcloud — and it seemed like a good time to reflect on what I’ve learned so far. Here are the top takeaways from my first season as a podcast host. 1. Your 5th episode is going to be twice as good as your first, and your 10th episode is going to be twice as good as your 5th and so on for a while. No matter how good you think you’ll be as a podcast host or at interviewing a guest, your first time doing it isn’t going to be great. Even with the added benefit of talking to fellow Peace Corps Volunteers, being able to speak their language, and relating to the trial and tribulations of service, there was still a ton of room for improvement for me as an interviewer. It might be a blessing that not a ton of people listened to the first episode because it could’ve scared some potential fans away. 2. Production is more about little things and having an attention to detail than it is understanding the software. Learning the software is the easier part, that’s what YouTube is for (Brittany quickly became wizard). But understanding the little things like how to smooth out the audio so everyone is at the same volume, what’s the best transition music to use, and when and where to make certain cuts feels more like an art than a science. 3. Making the episodes is only a small part of the equation. Finding your audience is the biggest hurdle you’ll have to jump over. This might be something Captain Obvious would say, but finding podcast listeners in the beginning is hard. You have to be hustling constantly, promoting yourself, selling your episodes, convincing strangers that you’re worth their time. It takes A LOT of work and it never really stops. 4. Make something that you’d want to listen to. There’s a cliche that goes, “necessity is the mother of invention,” and I think that should apply to your podcast, as well. We made The Optimist Podcast because there wasn’t a podcast out there telling the stories I wanted to hear. Stick to what you want to make — listen to feedback on small tweaks and changes — but stay true to the core of the story you want to tell because that’s what makes all the time and energy you invest worth it. 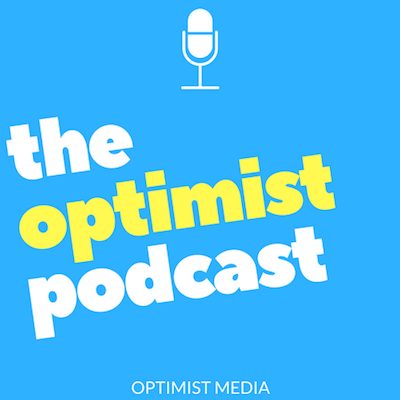 The Optimist Podcast is a series of interviews with inspirational people making a difference all over the world. From Uganda to Indonesia to Paraguay The podcast tells funny stories, explores different cultures, and features the projects and people that are making real change.